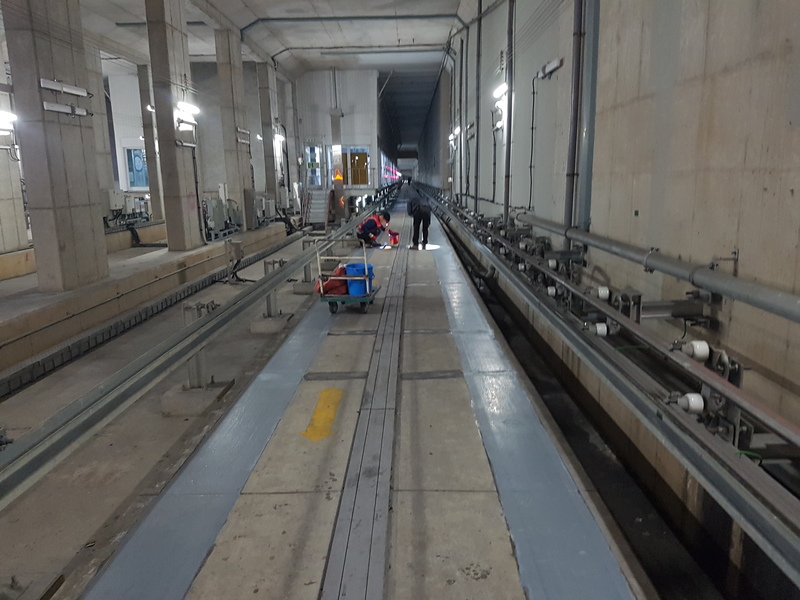 The Busan Transportation Corporation uses Roadware 10 Minute Concrete Mender to repair the roll-way of Busan Metro Line 4 in South Korea. Metro Line 4 is a rubber-tired line with 14 stations and runs driverless with pneumatic tires on a 6.7 mile (10.8km) concrete track. 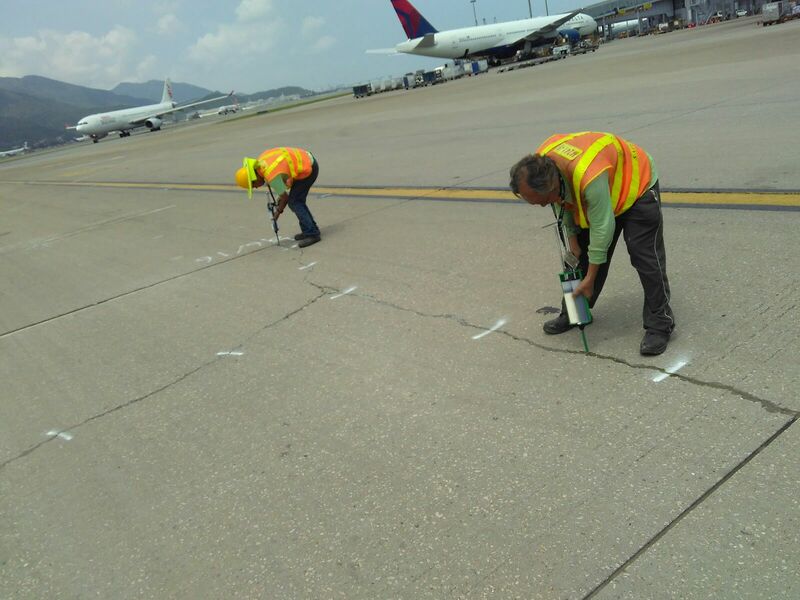 Concrete Mender is used to structurally repair the cross joints in the track approximately every ten meters. Concrete Mender is the right product for the job because it has a long service life and cures in about 10 minutes. This allows for minimal down time and keeps the Busan Metro Line 4 running on time with minimal service interruption. Repair crews of a very limited repair window, The train operates approximately 20 hours per day from 5am to 1am the next day. That leaves a minimal amount of time for maintenance and repair operations. Crews have to be efficient and productive. The fast cure and rapid strength gain of 10 Minute Concrete Mender is well suited for these mission critical applications. Having a smoother roll-way saves wear and tear on the rubber tires and reduces operating costs. Roadware 10 Minute Concrete Mender will keep the Busan Metro Line 4 running smooth and efficiently for years to come. 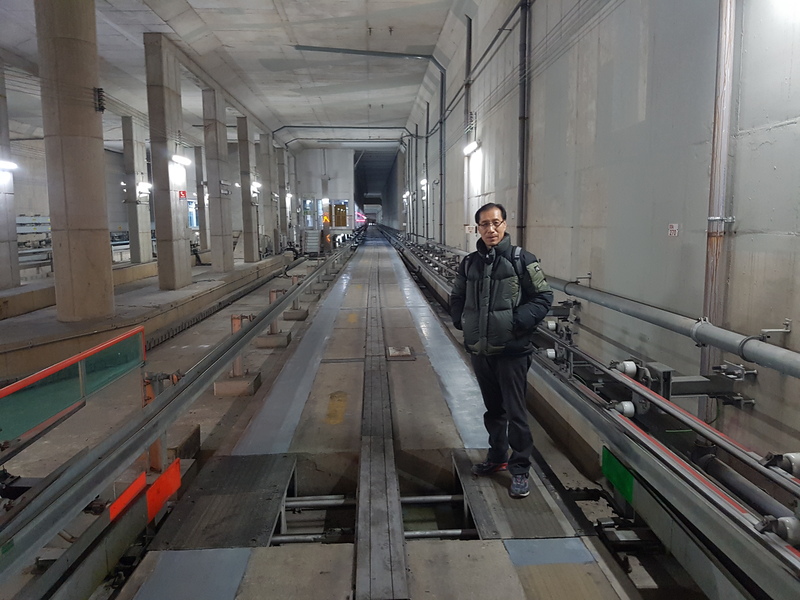 Edward Cheon of Concrete Doctor in Seoul on the concrete roll way at Busan Metro Line 4. 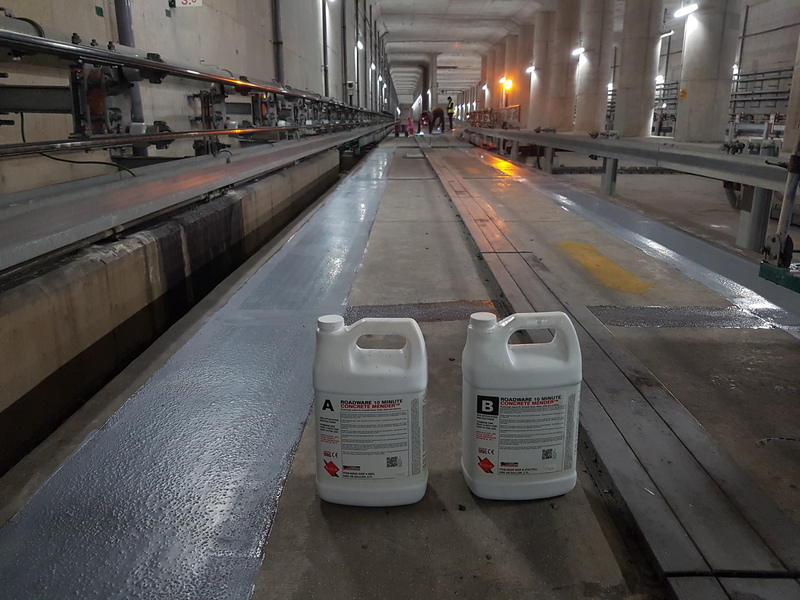 Roadware 10 Minute Concrete Mender is a self-injecting structural polyurethane for the permanent repair of commercial floors, decks, slabs and surfaces. 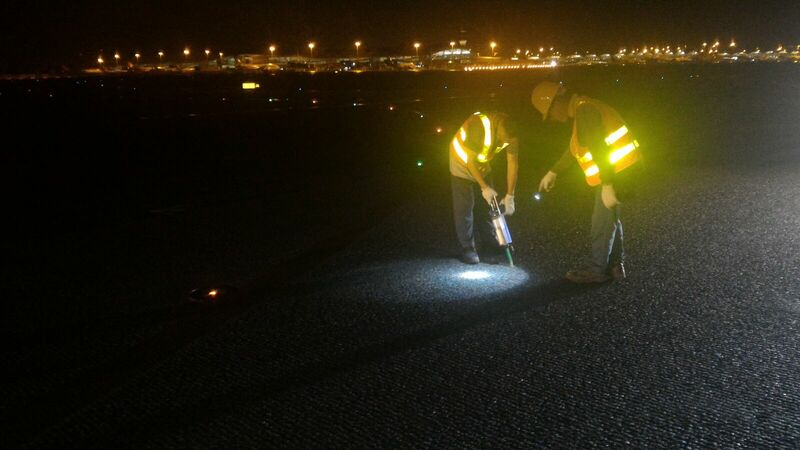 The exclusive Microdoweling™ action in Concrete Mender allows it to migrate past bond lines, restore aggregate interlock and make long lasting repairs. Crack in concrete floor ready for repair with Roadware 10 Minute Concrete Mender. Click here to request more information of find a local Roadware distributor. Roadware 10 Minute Concrete Mender™ comes in 50ml or 600ml cartridges or two and ten gallon bulk kits. 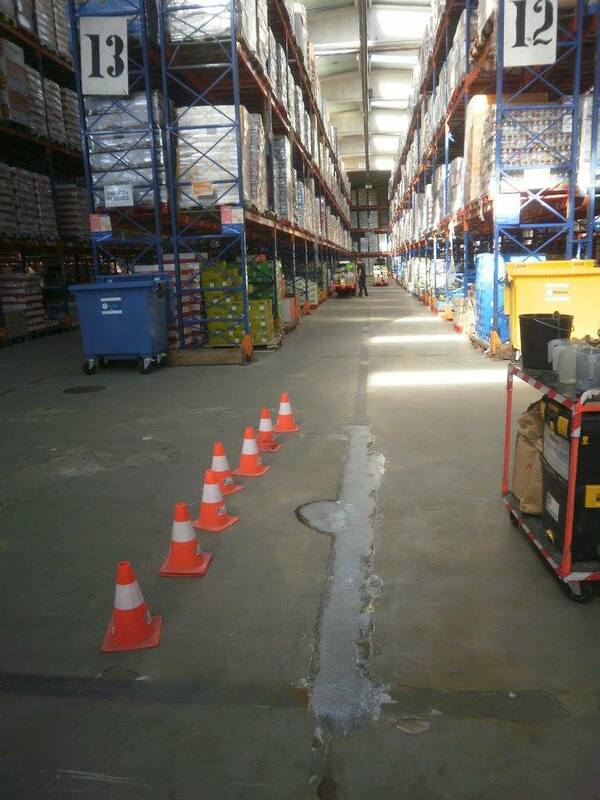 Warehouse floors can be repaired and open for traffic in about 10 minutes after application. Click here to request more information or find a local Roadware distributor. The Roadware YouTube Channel hits TWO MILLION VIEWS. Roadware maintains a YouTube video channel that shows Roadware products in action. This month our channel surpassed two million views. The YouTube channel currently has over 50 in-house produced videos showing simple concrete crack repair to advanced decorative and exposed aggregate concrete repairs. Check it out here. Two million views accounts for about 3.8 million watched minutes. That’s about 63,000 hours of watch time. Here is a gallery of Roadware videos from the Roadware YouTube Channel. 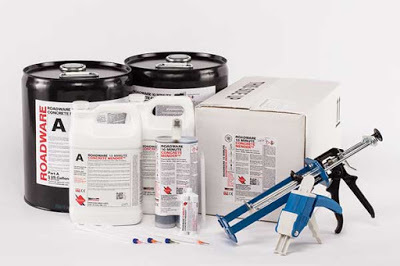 Roadware Easy Injection crack repair system for concrete slabs. For commercial and Industrial use. The Roadware Easy Injection System with Roadware 10 Minute Concrete Mender. See how the Concrete Mender penetrated deep into cracks and repairs the concrete from the inside out. Using Roadware 10 Minute Concrete Mender to fill drilled holes in concrete and restoring structural intergety. Roadware 10 Minute Concrete Mender Soft-tip Full Depth Crack Injection. Inject as deep as 24 inches without expensive pumps or ports. Cures in 10 minutes at 70 degrees F. Apply down to -20F or below. See more here: http://wp.me/P8Z9BY-GC For commercial and industrial use only. Contraction or control joints are cut into new concrete to control the cracking process of the concrete as it cures. 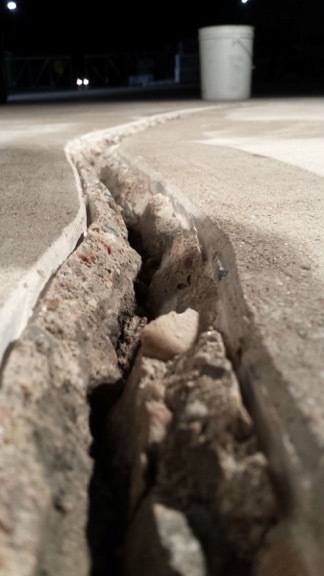 If the joints are filled within the first few months, the joint filler will split as the concrete continues to shrink and crack. Use Concrete Mender after the first year to eliminate the joint problem one and for all. How contractors repir cracks in an exposed aggregate concrete patio using Roadware MatchCrete™ Clear. How to assemble the Roadware #5150 50ml application tool and prepare a Roadware 50ml cartridge for use. Repair stamped concrete in one minute. How to repair a hole a stamped concrete patio condensed down to one minute. We use Roadware MatchCrete™ Clear plus some silica sand and colored grout to make a color and texture matching repair to a stamped concrete patio. Using Roadware 10 Minute Concrete Mender™ to create a rapid setting pebble-crete floor at a Pinkberry Store in Bahrain. FSTR-30 Tackless strip adhesion pull-off test. 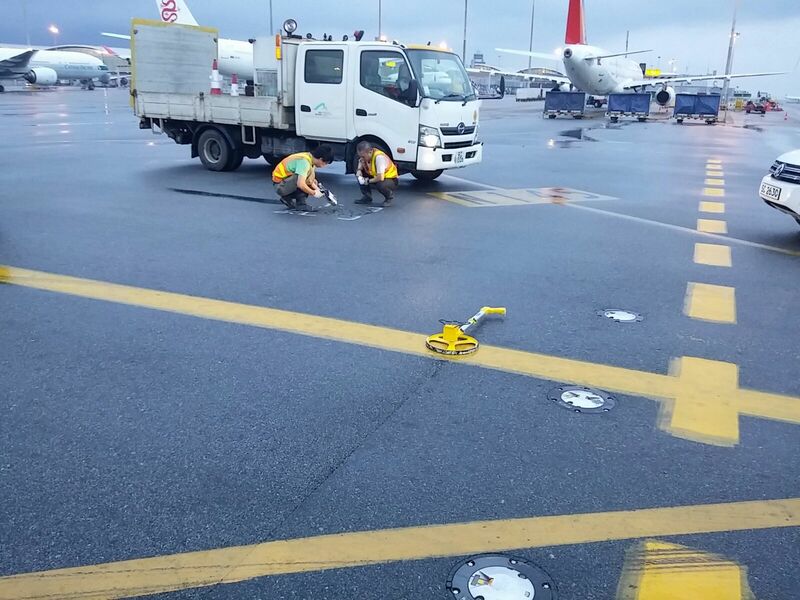 Top 5 features in Roadware 10 Minute Concrete Mender™. See more at www.roadware.us.